Enjoy our Grandmother Customizable Coffee Mugs while you show off why you love being a Grandmother. Our Personalized Mugs are Dishwasher safe and hold 11 oz. Our Personalized Coffee Mugs are personalized free. 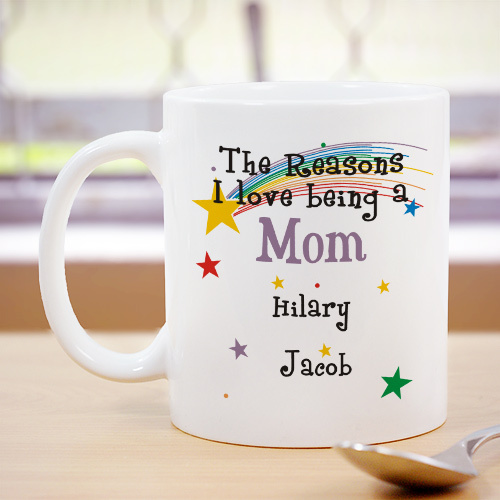 Personalized Ceramic Coffee Mugs for Mom or Grandma can be customized with any title and up to 30 children or grandchildren’s names. Purchased as a gift for my sister's birthday. She'll love it. GiftsForYouNow.com is your home for great Personalized Grandma Gifts. We offer all kinds of beautiful gifts for Grandma including a section for Brand New Grandma's. Choose GiftsForYouNow.com for all of your Personalized Gifts for Grandma.